23 January 2015, at 2:48p.m. BELGIUM - The BioStreamer Re-Store™ improves the hatchability and chick quality of stored eggs. Previous field results proved that a Re-Store treatment enhances hatch and post-hatch performance. New data from a broiler hatchery confirm that the Re-Store improves hatchability by reducing early, mid and late embryonic death. Hatch of set (HOS) is the ratio of hatched chicks to the number of eggs in the incubator. Hatch of candled (HOC) is the ratio of hatched chicks to the number of eggs that passed the candling, the non-clear eggs. These two parameters are easily and often automatically obtained in a hatchery. Hatch of fertile (HOF) is the ratio of hatched chicks to the number of fertile eggs. This parameter can only be obtained after breakouts of the clear eggs. A lot of eggs that were fertile, but suffered early embryonic death are considered as clear eggs by the candling device. 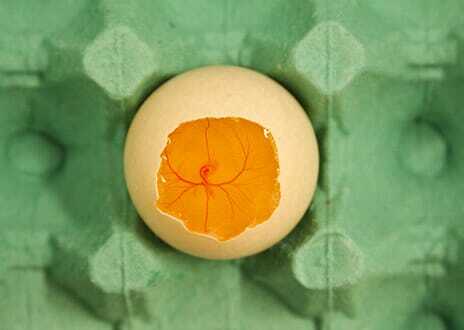 Therefore breakouts are necessary to confirm if the clear eggs are truly infertile. Figure 1 shows a viable embryo at day 3 of incubation. If this embryo dies at the current stage of development, the candling device will probably wrongly identify this as a clear egg. In practice, HOF is often calculated without doing the time consuming breakouts. The consequence is that the HOF is often mistaken as HOC. Since the real HOF gives valuable information, breakout analysis should frequently be undertaken. During several field experiments in a commercial broiler hatchery, data of HOS, HOC and HOF were obtained for different trials with and without Re-Store treatment. The different trials represent different flocks and flock ages. 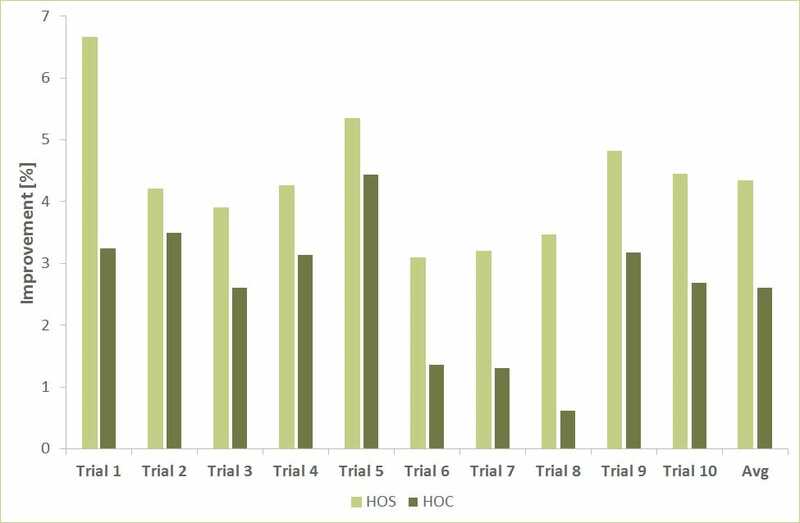 The improvement of HOS and HOC due to the Re-Store treatment for the different trials is shown in Figure 2. The HOC is significantly higher for the eggs that were subjected to a Re-Store treatment, with an average of 2.6 per cent. This means that the Re-Store treatment reduces the mid and late embryonic mortality during incubation. The HOS is significantly higher as well for the eggs that were subjected to a Re-Store treatment and the improvement in HOS is always higher than the improvement in HOC, with an average improvement of 1.7 per cent (average HOS is 4.3 per cent). The HOF is independent of the Re-Store treatment, since a trial represents the same flock and flock age. This means that the additional improvement of HOS in comparison to HOC is due to the reduction of early embryonic mortality caused by the Re-Store treatment. By reducing early, mid and late embryonic death, the BioStreamer™ Re-Store enhances hatchability. Field trials show that HOS and HOC increased with an average of respectively 4.3 and 2.6 per cent. The Re-Store once more confirms its potential to optimize hatchery results and maximize the profitability in a hatchery.